When you create a new event in DigiCal, the data is first saved locally on your device. Afterwards, the Android calendar synchronization system will upload the changes to your calendar server (Google Calendar, Outlook.com or Exchange). But sometimes your device can experience a sync error, leading to problems with uploading and refreshing your calendar data. 3. Here you will get an overview of the sync status of your accounts. 4. Tap on your specific account and see if "Calendar" is selected for sync and when it was the last time your Android device has synchronized with your calendar server *If your device has a global auto-sync toggle, please also check whether this is turned on. 5. Check if other calendar apps can create new events on the calendar you've selected. You can use the stock calendar, S-Planner on Samsung phones, HTC Calendar on HTC, or Google Calendar's official app to test this. If they work and DigiCal don't - please send us an email with the details. 6. Check the sync status of the phone and account, they must be all enabled to allow syncing. 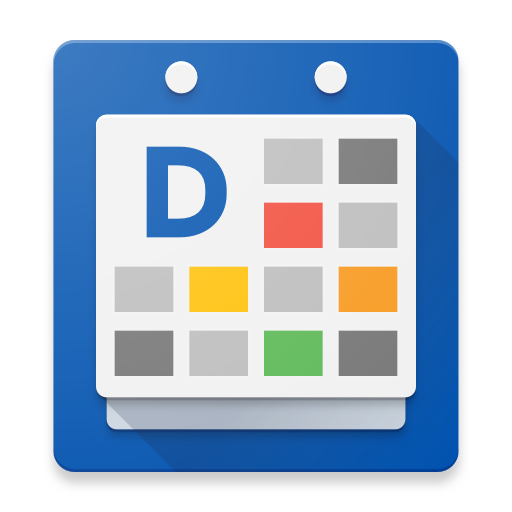 For Google Calendar: If you're running on a device with Android 4.0 or higher, please install the official Google Calendar app. Other than installing a new interface, this "app" also contains a new version of the calendar synchronization adapter for talking with the Google Calendar servers. As it contains many bug fixes and improvements over the outdated versions the phone and tablet manufacturers use, it may solve your sync errors. *Please note that this will also delete color changes: this will be an issue for users who've set custom colors for individual events or calendars from within the DigiCal app. There's unfortunately no way to back up these color settings. Google Calendar users are the exception, as we've now added 2-way color syncing for Google Calendar users, this means that color changes you make via the DigiCal app will also change the Google Calendar color settings on the server, rather than only being stored on your phone. However please read the article for exact details on what's synced and what is not. 8. Make sure that your DigiCal has access to your personal data, as we have heard from our users that by default the Privacy Guard implemented in CyanogenMod blocks the access of the newly installed app to personal data. 9. Now you need to clear you Google Calendar Storage. 10. If you still have issues after following these steps, please send us an email with as much details as you can and we'll help you fix it. For example: your phone model, Android version, if you use a custom ROM, whether the problem exists in the official Google Calendar Android app, whether a manual refresh (DigiCal > menu > refresh) works or whether that doesn't sync your events either, and any other information or screenshots that might be useful. *If nothing works please also repeat step 7 (clear app data) for the apps called "Google Play Store" and "Google Play Services". How do I get the calendars from my Google account to show in DigiCal?